Dragon Maiden slot is a 5 reel, 243 ways high variance video slot that expands to 7,776 ways, it pays a top cash prize (non-progressive) of 5,000x your stake on one spin. 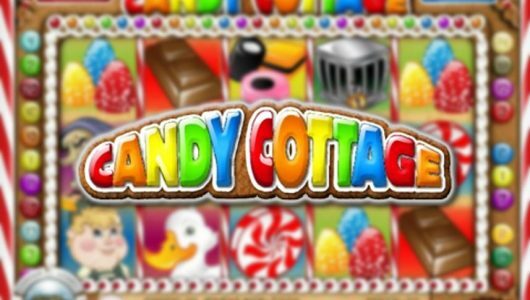 Play N’ Go is no slouch the developer has been churning out high-resolution slot machines with captivating titles month in and month out. The game has a fantasy theme to it reminiscent of the smashing HBO Television series Game of Thrones. The key symbol is the Dragon Maiden it appears 3-high when it’s transformed into a wild symbol. The slots is compatible with mobile phones (Androids, iPhones, tablets) and can be played from £0.10 up to £100 per spin. The most important bonus round of Dragon Maiden slots is its Free Spins feature, up to 12 free spins are awarded plus there is a Re-spins feature where more free spins can be gained. Once the free spins bonus is active for every scatter that appears on a reel the height of it increases to 7,776 ways to win. 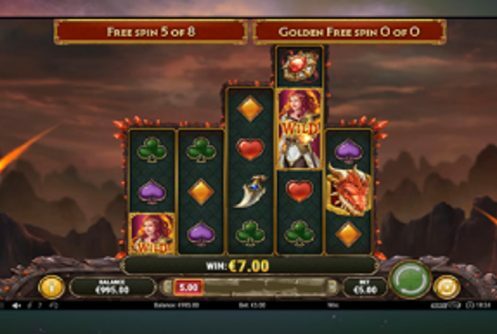 In short, Dragon maiden is equipped with expanding wilds during the free spins, re-spins and a Golden Free Spin is added to your tally for every expanded reel for the BIG wins! The symbols on the reels are rings, daggers, the Dragon Maiden (wild), diamonds, clubs, hearts, spades, royals and dragon (scatter). If you catch 5 Dragon Maiden symbols on the reels at the maximum wager per spin (£100) you’ll win 12.5x your stake. The RTP (average return to player percentage) is between 95.3% to 96.2%. 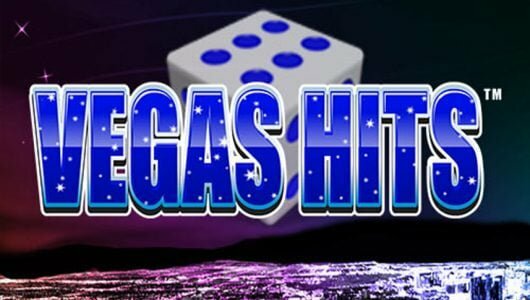 Expect a payout on every 3 to 5 spins and a decent win on every 30 spins or so. 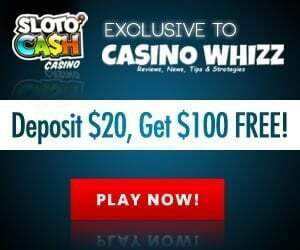 You can play this game at our top rated Play N Go Casinos. The Dragon Maiden is the wild, apart from being the most lucrative symbol it expands 2 or 3 symbols high for a fully wild reel. More to the point, every symbol on the reels is replaced by the wild except the dragon scatter. The re-spins feature is played when 2 or more dragons (scatters) pitch, for every dragon scatter that pops up one re-spin is awarded while the dragon sticks to the reels. As long as the dragon symbol keeps on popping up re-spins will be awarded. Three, four or five scatters trigger 8, 10 or 12 free spins, the amount of free spins you receive are proportionate to the scatters. During the free spins the dragon symbol beats the drum, when it appears the height of the reel increases by 1 up to 6 symbols. Upon conclusion of the free spins the Golden Free Spin feature is triggered (reel 5) that is 6 symbols high. Instead of 243 ways to win it expands to 7,776 ways. It goes without saying that the payline wins can be spectacular. Fantasy themed slots always hit the spot problem is with Dragon Maiden it’s crazy steep. Low rollers playing the game will find it akin to a one legged man trying to win a dancing competition. High rollers on the other hand will love it especially if the spoils translates into a win of 5,000x your stake on a single free spin. So, what’s our take on the slots? 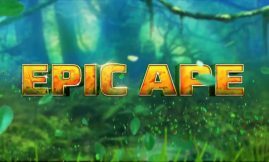 Great game with neat visuals and a decadent free spins feature that offers the prospect of a decent win but grinding is required. 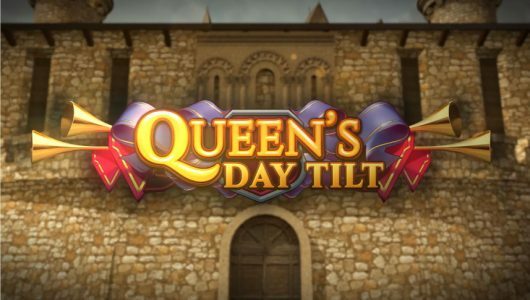 Dragon Maiden high variance Play N’ Go Slots frequently asked questions? Having played it with a bankroll of $25 at an average stake of £1.40 we managed a payout of 15x our stake. The potential for big wins is good expect many dry spins in between wins though. The bankroll we played the slots with wasn’t big enough (not even close) to gauge its full winning potential. If you want to give it a fair crack a budget of £400 is a good start. How many spins is needed to initiate the free spins? We can’t tell you exactly because our bankroll wasn’t big enough to trigger the free spins. However, if we consider the volatility of Dragon Maiden our best estimate would be that the free spins can be triggered within 120 spins, maybe sooner. Which other Play N’ Go slots do we recommend?